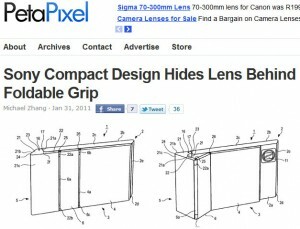 I spotted this story yesterday on PetaPixel (great site by the way) of Sony filing for a patent on a folding grip for compact cameras. The concept loots great. What i hope is that they apply this to their Sony Ericsson phones as well. Get the story here.